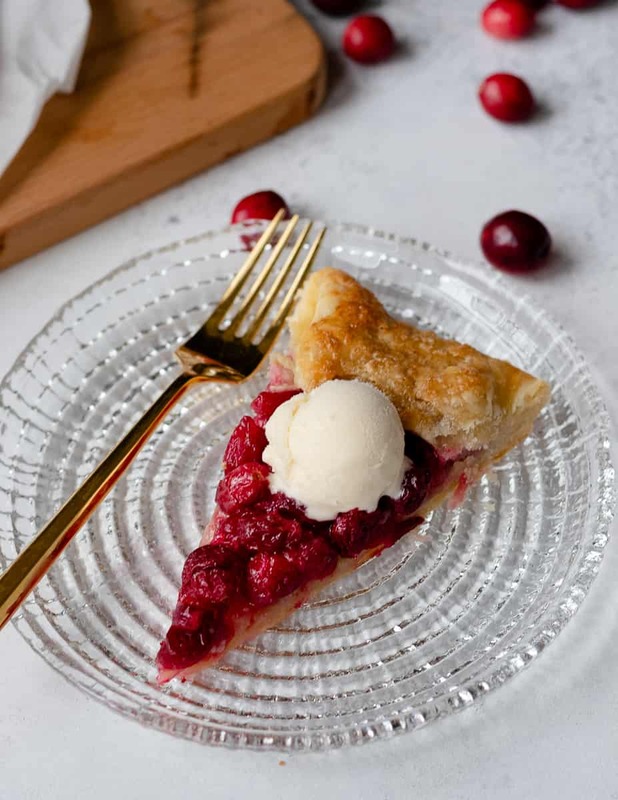 This tart sweet fresh cranberry galette is an easy alternative to a traditional pie. A little less waiting, great balance of fruit and crust, and ice cream’s favorite fall friend. This year has been very pie-centric for some reason. I don’t know if it was the move, living in a slower paced area, or what, but I’ve made more pies this year than the last 2 combined. And not just at Thanksgiving, I made summer pies this year! And when an old cookbook suggested that a fresh cranberry pie was a copycat stand in for a cherry pie, I had to try. They lied. But it DOESN’T MATTER! 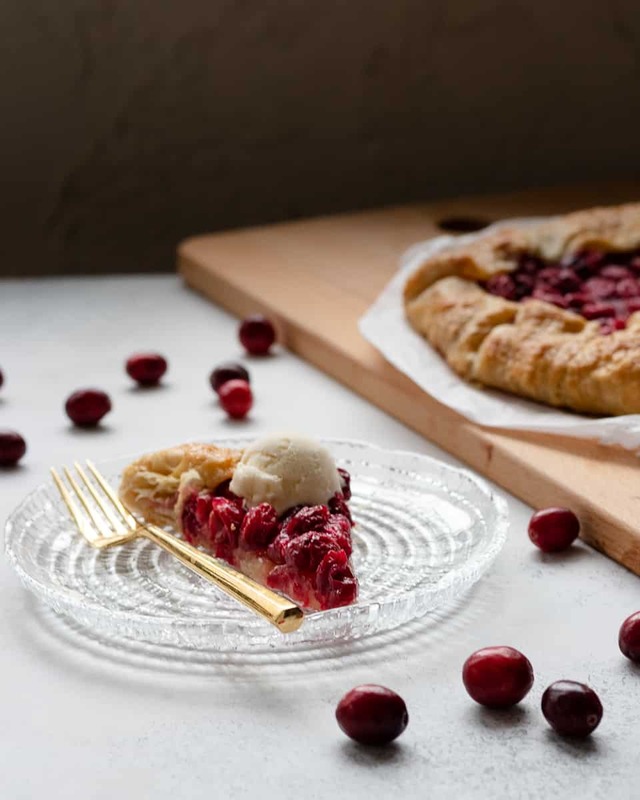 Because fresh cranberry pie is delicious, and it’s even better as a fresh cranberry galette. Galette is a fancy word for a free-form tart y’all. 😉 A galette is also the solution all fruit-loving pie crust enthusiasts have been searching for. The ratio of crust to fruit is perfect for everyone because you have a good amount of fruit over a flaky crust in the center, and then layers of lovely crust studded with just the right amount of fruit towards the edge. There’s also less resting time, no pressure to create a perfect lattice crust, and you can make it all in one bowl. Oh, and baking your galette on a rimmed baking sheet is very convenient when all your pie dishes are otherwise occupied. How do I make a fresh cranberry galette? I’m glad you asked. We start with a pie crust. If you’re looking to make a smaller galette, to feed about 4-5, you may use a store bought pie crust. But since I wanted to make mine to feed 6-8, I made a crust. This crust will roll out to give you about a 9″ galette after folding in the edges. The final number of servings depends on how large you cut your slices, but these are solid estimates. Once you have your pie crust rolled out, you transfer it to a parchment lined baking sheet and chill while you prepare the filling. There isn’t much preparation to a fresh cranberry filling because cranberries aren’t particularly juicy. So all filling ingredients are mixed in a bowl and simply turned into the center of your galette crust. 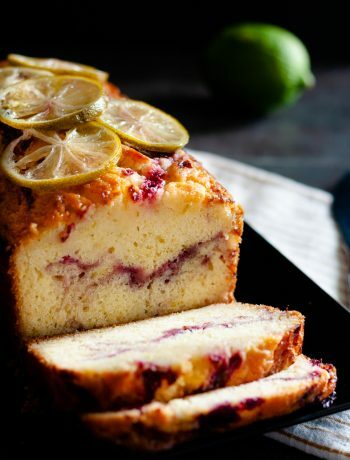 Fold over the edges, brush with egg and add a bit of turbinado sugar for sparkle, then bake. The best way to cut the galette after it’s cooled a few minutes is to use a pizza wheel. This is basically the love child of a pie and a pizza anyway, right? I like to serve slightly warm with a mini scoop of vanilla ice cream on top. 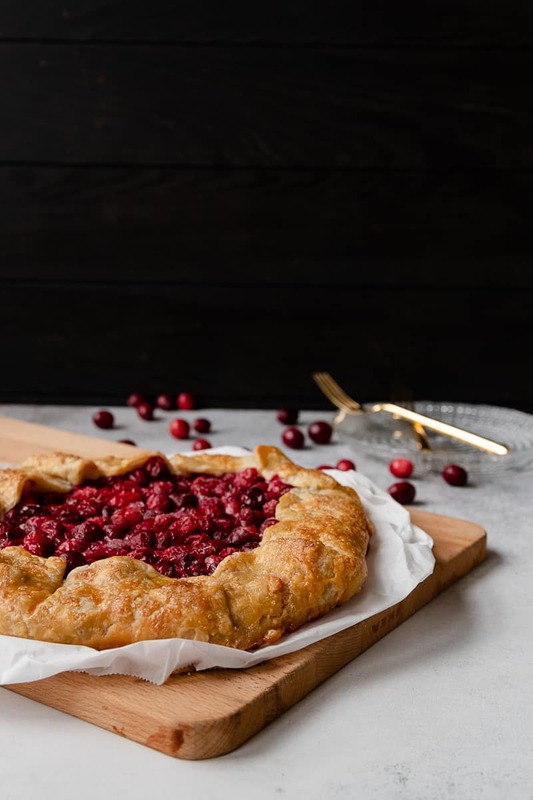 You can make a fresh cranberry galette a day in advance and reheat in a 350 F oven for about 10 minutes just before serving. Store it loosely covered in the refrigerator once it is completely cool. You could also leave it in a covered cake dish in the counter overnight as well since it’s just a fruit pie. 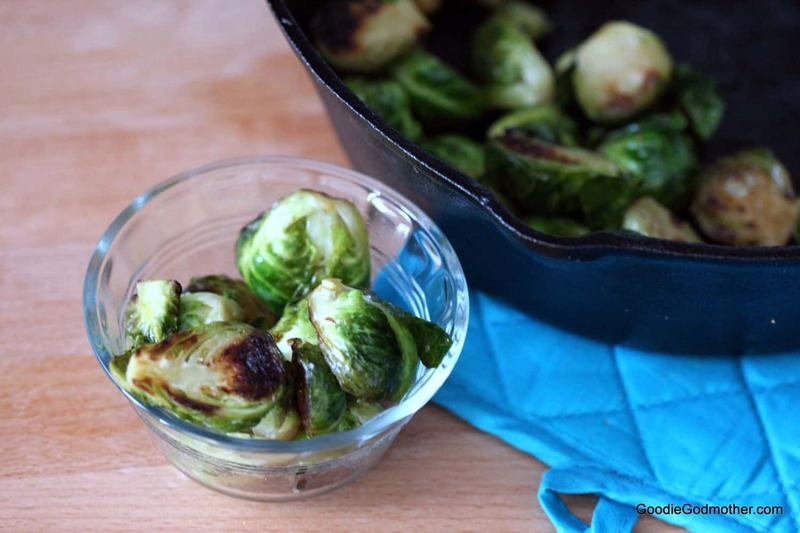 But definitely reheat in the oven if you plan to serve warm. 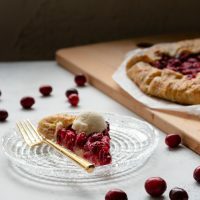 Cranberry galette can also be served at room temperature. 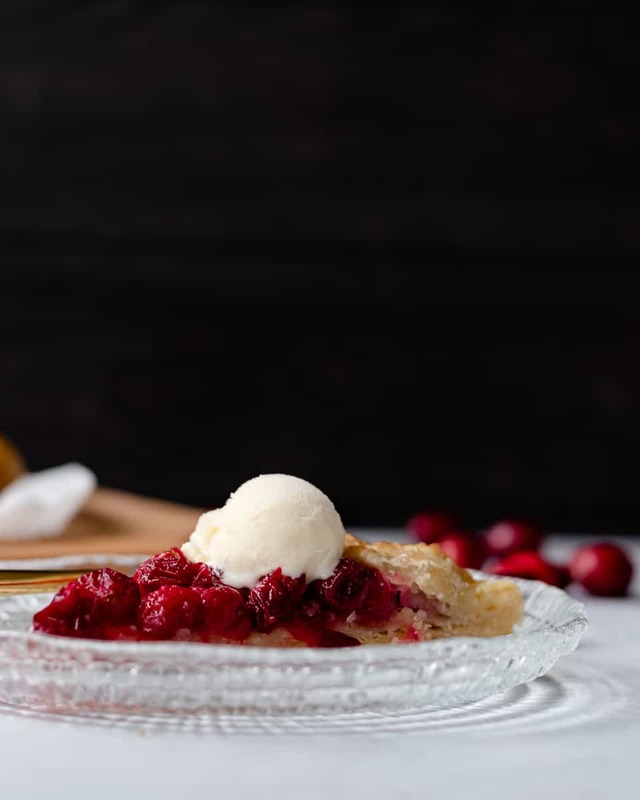 I hope you enjoy this easy fresh cranberry pie recipe! In a large bowl, sift together the flour and salt for the crust. Cut in the butter using a pastry cutter until the butter is about pea-sized and the mixture looks like coarse crumbs. Stir in water using a fork, one tablespoon at a time, until the dough just comes together. 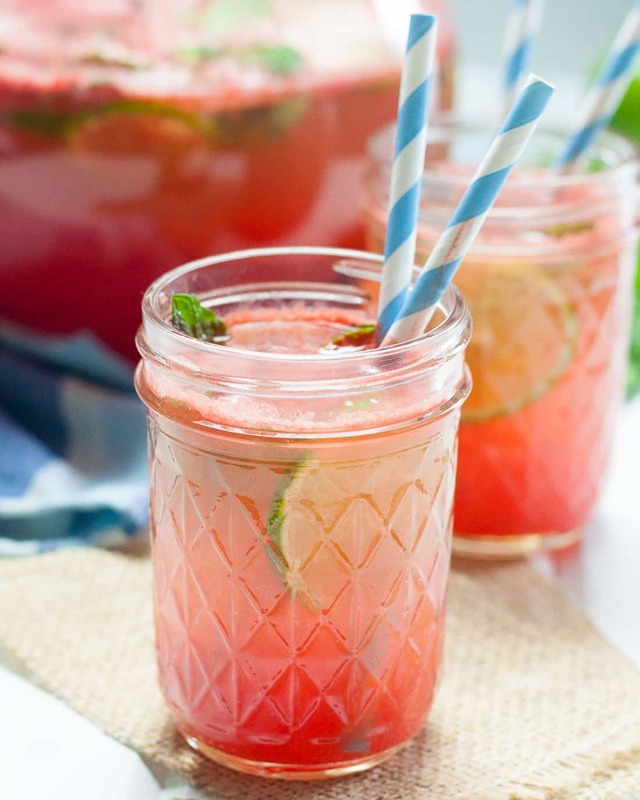 Wrap tightly in plastic wrap and refrigerate at least 20 minutes up to 2 days. Preheat the oven to 375 F and line a large rimmed baking sheet with parchment. Roll out your dough to about a 12 inch diameter circle, center on the baking sheet, and return to the refrigerator. In a large bowl, mix together all the filling ingredients except the butter. Remove the crust from the refrigerator and pour the filling into the center of the crust, leaving about a 2 inch border all around. Gently fold the crust edges in. Dot the filling with the tablespoon of butter. Beat the egg with a teaspoon of water and brush the edges of the crust. Sprinkle with the turbinado sugar. Bake for 45 minutes until the crust is golden brown. Remove from the oven and allow to cool 10 minutes before slicing and serving. The easiest way to slice is using a large pizza wheel, and topping this with a bit of vanilla ice cream makes it extra amazing!